How to pay for the state's transportation needs has emerged as a key issue in the open state Senate District 9 primary race between Republican state Reps. Kelly Hancock and Todd Smith. Three years ago, Republican state Reps. Todd Smith and Kelly Hancock were on opposite sides of a fight over how to dig the Dallas-Fort Worth area out of gridlock. Now, as the two men vie for a rare open state Senate seat covering portions of Tarrant and Dallas counties, that disagreement has hardened into a key philosophical divide that supporters on both sides say paints their candidate as the true conservative in the primary race. Both men have long-standing ties to their House districts. Smith, of Euless, cut his teeth serving on his hometown City Council before advancing to the House in 1996. Hancock, of North Richland Hills, was elected to the House a decade later after 13 years on the Birdville school board. Both hope to succeed state Sen. Chris Harris, R-Arlington, who is retiring after 21 years in the upper chamber. The winner of the primary in District 9, which leans Republican, will face Democrat Pete Martinez and Libertarian Dave McElwee in the general election in November. 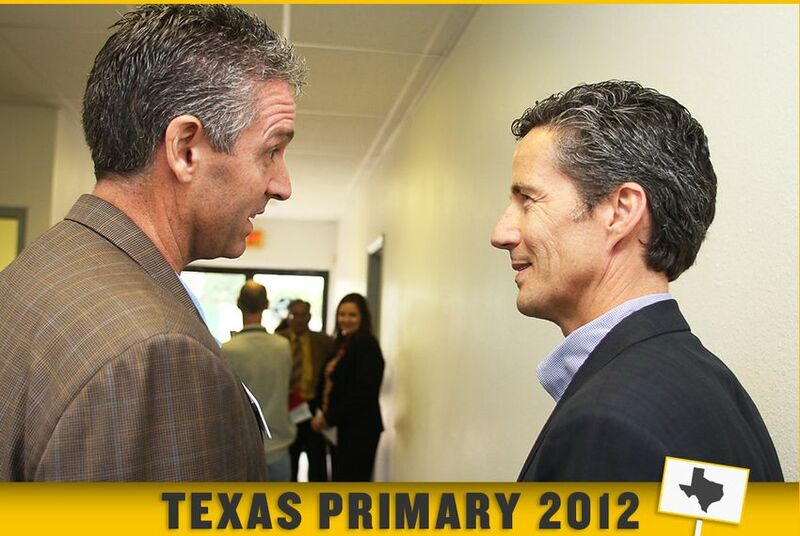 In 2009, Smith supported the Texas Local Option Transportation Act bill, which would have given some urban counties the option to ask voters to approve raising local taxes or fees to pay for new transportation projects. The measure failed amid opposition from anti-tax groups. Years ago, Smith differentiated himself from other Republicans, including Hancock, when he proposed increasing the gas tax to better keep pace with the state’s transportation needs. He frames both stances as proof of his courage to make tough decisions despite the political costs. Smith said he no longer supports an increase in the gas tax because the area is now covered in toll road projects, and increasing the gas tax would be like taxing his constituents twice. “As we speak, northeast Tarrant County looks like a war zone … and when we are done, the people of northeast Tarrant County are going to get a bill on a monthly basis that will make them wish they had an increase in the gas tax,” Smith said. Hancock opposed the local option measure, drawing rebukes from some area officials, but received praise from statewide conservative groups. That same dynamic is emerging in the primary race, as conservative leaders including Gov. Rick Perry and Attorney General Greg Abbott are backing Hancock. Meanwhile, Smith has drawn support from dozens of local school board and city officials, including 12 mayors representing nearly the entire district. Hancock dismissed Smith’s backers as not representative of the district’s voters. “There’s obviously a connection with those who were looking to raise taxes with some of his endorsements,” Hancock said. At a forum at a Grand Prairie church last month, the back-and-forth between the two candidates largely pivoted on how Texas should finance big-ticket needs like transportation. Hancock said there is a reason he has received endorsements from the Texas Association of Business and major grass-roots conservative groups. “There is a belief of mine that government needs to be run much more like a business,” he said. Smith said that he did not support raising taxes during a recession but that the state needs lawmakers who have the political will to invest a future surplus in infrastructure rather than tax cuts. “I am a conservative, but I am not someone who takes instructions from anyone else other than my own conscience,” Smith said. The last word came from Hancock, who encouraged attendees to research both candidates online.